HOYER Petrolog UK is expanding its fleet with the arrival of 89 new MAN vehicles. The deliveries, set to complete this October, comprises 75 replacement vehicles plus 14 additional vehicles for the company’s recently attained business across the UK. The new fleet additions are all Euro 6 MAN TGS 24.420’s with a total of 85 day cabs and four sleeper cabs. 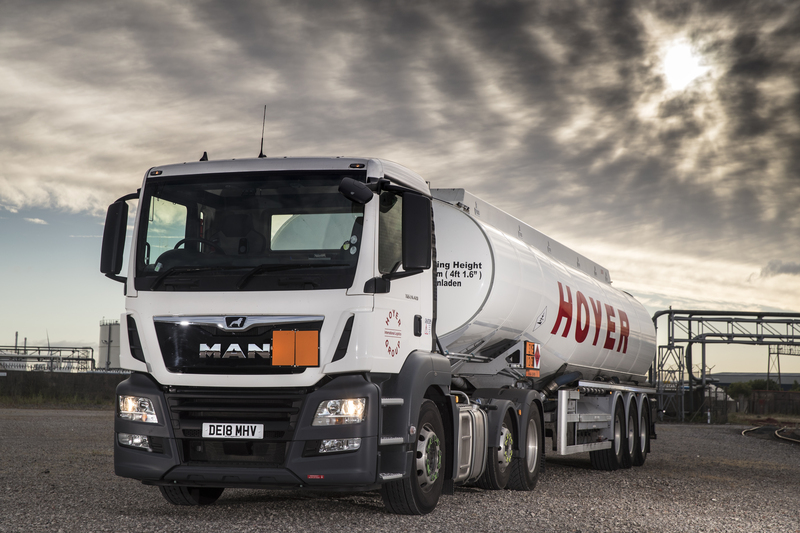 The MAN deal offers HOYER Petrolog UK a comprehensive fixed price Repair and Maintenance package across a mixture of three and five-year lease agreements. HOYER, a traditional independent family business, has been one of the world’s leading bulk logistics providers since 1946. As specialists, they develop and implement comprehensive solutions in European and worldwide bulk logistics, particularly in the chemical, food, gas and petroleum industries. 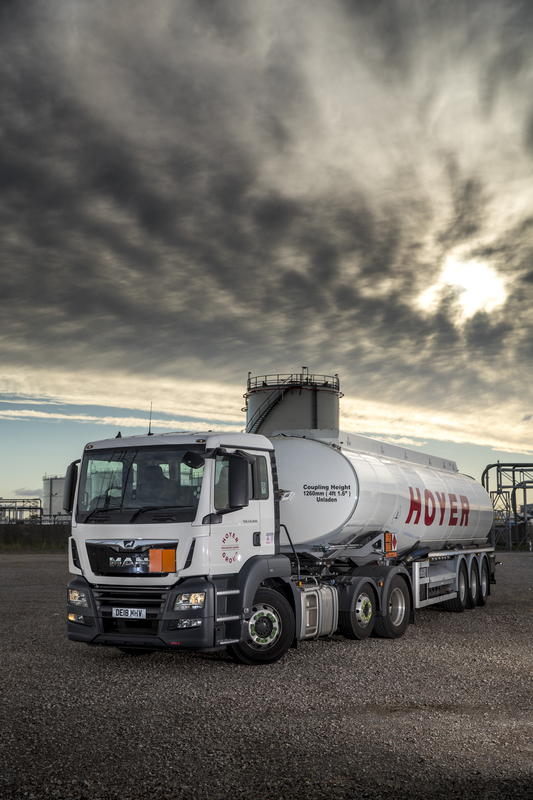 HOYER has operated in the UK since 1974 and established itself as the market leader in nationwide fuel distribution, with significant domestic and international operations for customers requiring specialist transport solutions for the movement of Bitumen, Chemicals, Foodstuffs and Airgas markets. From its Head Office in Huddersfield, West Yorkshire, HOYER employs some 1,300 people across 37 locations throughout the UK. The New TGS 24.420’s join an existing UK fleet of 500 HOYER vehicles. Operating nationally across the UK Hoyer sites the new vehicles will be ser-viced and maintained by the strategically located nationwide MAN dealer net-work. 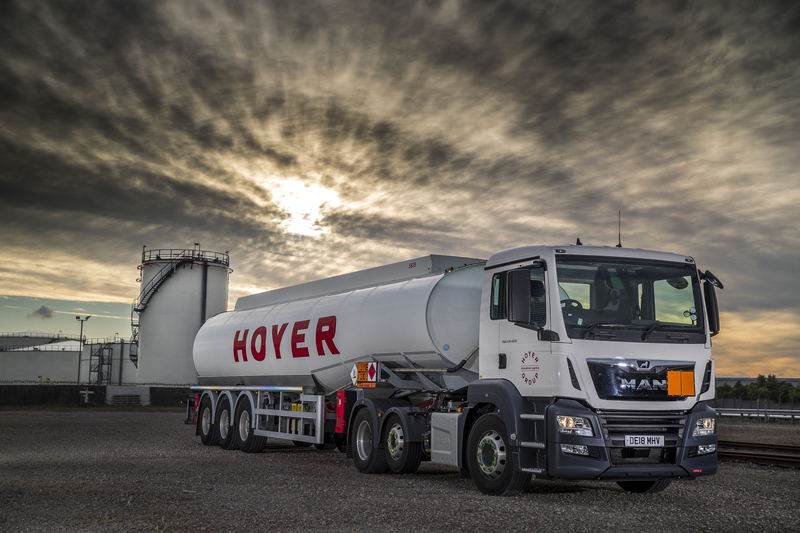 Ian Mclean, Head of International Key Accounts and Special Products, said: “With almost 500 tractor units across the UK, HOYER PETROLOG is the market leader in fuel distribution. It is fantastic to see MAN vehicles and service underpinning this growth and delivering on HOYER’s requirements. 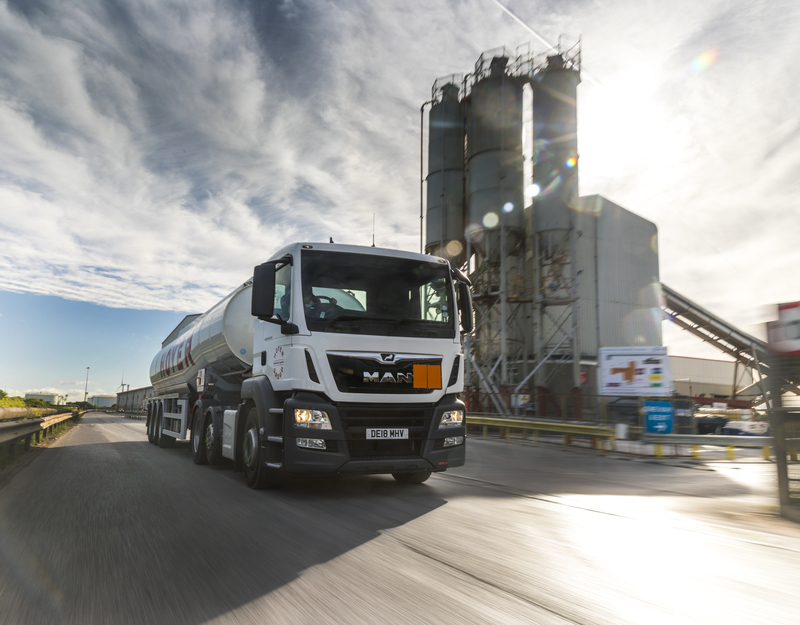 As with all MAN TGS and TGX 4x2 and 6x2 Tractor units and rigids, HOYER’s latest fleet addition comes as standard with a MAN two-year “Relax” Gold R&M package, up to 300,000kms, including bulbs and top ups. Total piece of mind is further supported by the standard TGS 3 year, Fully Comprehensive Warranty, up to 450,000kms. Operating in 115 countries across the world the Hoyer Group employs more than 6,100 people. 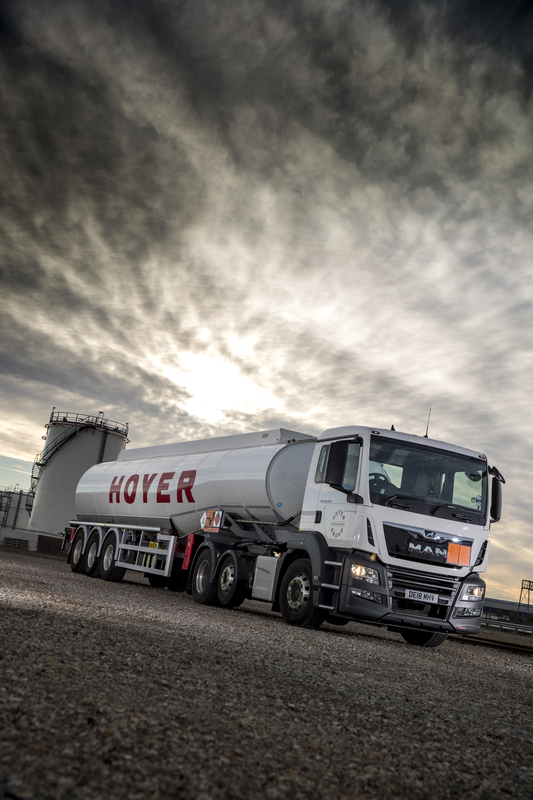 The HOYER Group owns 2,400 trucks, 2,900 road tankers, 41,200 IBCs, 37,300 tank containers and numerous logistics installations with depots, cleaning plants and workshops.